This post contains affiliate links for which I may receive a small commission if you choose to purchase via this link. Know that I only promote products that I absolutely believe in, which you will see from this post! How many times have you asked that question to your kids at the end of a school day and gotten not much more beyond a “good” or “fine”? When you’re dying to know all about what your kid was up to for the last 7+ hours, “good” just doesn’t cut it, right? Well, I found the perfect most adorable thing to get my kids talking: SnuggleBuddies! I’ve always gotten creative with how I asked about their day; we’ve had a few iterations of it over the last couple of years. We started with everyone in the family stating one thing that we were grateful for that day, then we instead started playing “Two True Things and One False Thing”. This is a game where each person takes turns telling two things that actually did happen during their day and one thing that didn’t, and the rest of the family has to guess which one was the false thing. My kids (now 8 and 6) were always so excited to play that they couldn’t wait to be the one to start the game once we sat down for dinner. The kids eventually were over playing two true things and one false thing every day, and we just ended up having chats about what happened during the day instead. I would talk about my day and they in turn would talk about theirs. I suspect that having played the “Two True Things and One False Thing” game for nearly a year got them used to talking about what they were up to and I almost always got more than a “good” or “fine”, but I was always curious about the bigger picture of the ups and downs of their day and how they experienced their classes, their friends, and their activities. Enter: SnuggleBuddies! The PeaceMakers poster from the Time In Toolkit in our playroom. Not only are the critters suuuuuper cute, but they have such wonderful messages to share. Sophia and Sam were so excited to pull PeaceMakers cards every day and learn what the critters had to teach them about themselves, their feelings, and the world around them. These cards also incorporate growth mindset based spiritual messages that really align with how I’d like them to understand how the universe works: “I am one of a kind and made out of love. I am love.” “I make my feelings and I can change them with my thoughts,” “My mistakes help me learn and grow.” The Time In Toolkit and the PeaceMakers cards have definitely been a worthwhile investment because they have given us a baseline language for and understanding of mindfulness, growth mindset, and spirituality. 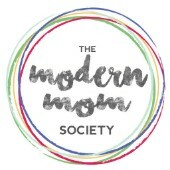 After I had finished recording the Modern Mom Society Podcast interview with Suzanne (Episode 36), we continued chatting about what she’s been up to with Generation Mindful. I gushed about how much we love the Time In Toolkit and the PeaceMakers critters and she let me in on the secret that the SnuggleBuddies were coming soon. I knew immediately that we’d definitely be adding some to our family! When I told my daughter about the SnuggleBuddies she screamed excitedly, and again when she saw the sneak peek of the critters. Can you imagine how excited she and her brother were when they found out I had won one in a Generation Mindful contest?!?! The only trouble was trying to decide which one out of the 7 to bring home – which they never actually did – every time I asked, they answered with a different animal! They wanted them all! After some difficult deliberation I ultimately had to choose for them and settled on the Lion. We all waited patiently for him to arrive! We pull out the four plush shapes from the Lion’s back and talk about those things that made us feel the four different types of emotions as we tuck the shapes back in the Lion’s pouch. What’s really awesome about this is that it gets my kids opening up about some of the “not so great” parts of their days, and also things that I likely wouldn’t have heard about otherwise. For example, my daughter told me about one of the lessons she was working on at school made her feel confused (which was the first time I ever heard her talk about anything at school being challenging) or my son shared how he felt grateful that his friends got to play Beyblades at recess. Also, I sense that me talking about the ups and downs of my day makes them feel more comfortable talking about theirs. All in all, the SnuggleBuddies have given our family a platform and language to talk about our feelings which has been extremely valuable. Not only that, but the Lion has been going with us everywhere. This guy is super snuggly and velvety soft and really really cute too. My daughter and the Lion are pretty much inseparable. Clockwise from top left: Lion out to dinner with us at a Chinese restaurant, Lion at swimming lessons, Lion playing Uno, Sophia & Sam walking around both holding on to the Lion when he first arrived at our home, Lion at the playground, Lion at the street market enjoying churros with the kids. One of the places she brought him was to her Sunday School class at Bodhi Spiritual Center. As soon as I came by to pick her up after service, the Youth & Family Coordinator excitedly pulled me aside and told me how excited she was about the SnuggleBuddies and how she was going to start using it to start every Sunday School class! To say that we enjoy our SnuggleBuddies friend would be a big understatement – he’s definitely become a big part of our family lately!! I was excited for the SnuggleBuddies campaign on Kickstarter (which wrapped at the end of September) so we could get a few more of these cute, cuddly critters. Even though we definitely do not need any more stuffed animals in our house, I couldn’t resist getting three more so that my son could choose his two favorite critters and my daughter could choose one more too. I have a feeling it’s going to be hard to decide which three! So even though I did receive the Lion SnuggleBuddies critter for free in exchange for this review, I definitely think highly enough of the product that I bought three more! I recommend it without hesitation to anyone who is looking to help their kids get more in tune with their emotions and get the conversation flowing about what their kids were up to that day. You can find the SnuggleBuddies on the Generation Mindful website along with the Time In Toolkit, which I also recommend highly. Grab them today! !